Around 780 b.C. King Alara unified upper Nubia. The worship of the God Amon was resurrected, centred in Napata at Jebel Barkal, provoking a renaissance of Egyptian culture in Kush. Alara’s successor, Kashta expanded into Lower Nubia and claimed the symbolic title of Pharaoh, setting the stage for the Nubian conquest of Egypt. He was followed by Piankhy who took control over Thebes and started the 25th Dynasty, also known as the Nubian or Black Pharaohs dynasty. The main centre of the Kushite Kingdom was in Napata and the big Temple of Amon at the base of the holy mountains Jebel Barkal was the centre of the worshipping of the god. 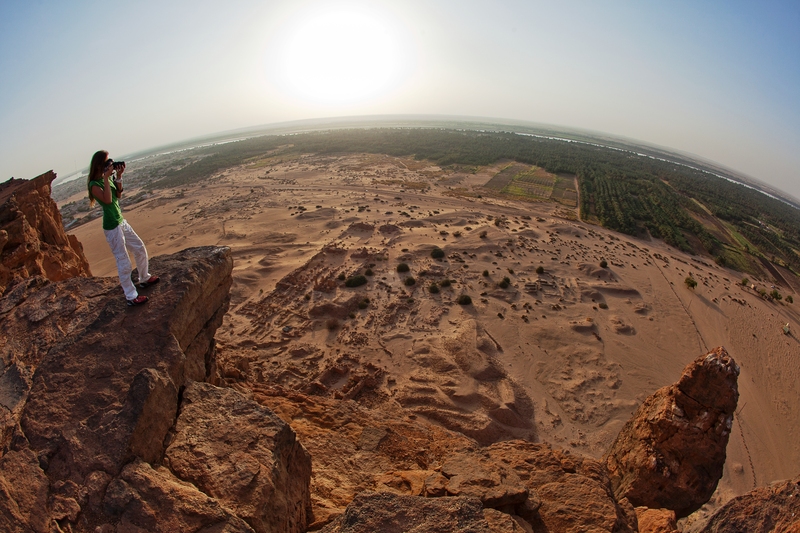 Landmark in the Nubian Desert, Jebel Barkal (“Jebel” means mountain in Arabic) can be seen from a few dozens of kilometres whilst still in the open desert. 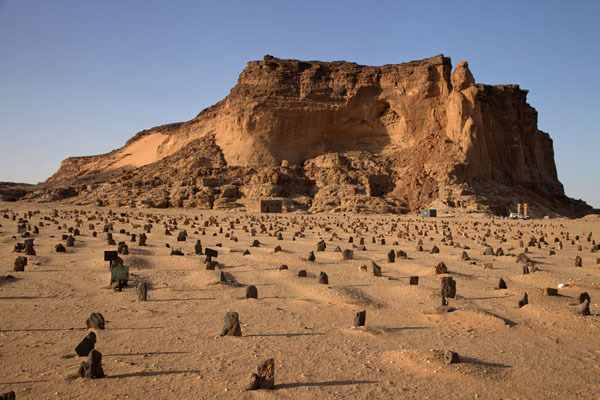 At the foot of this wonderful isolated red sandstone mountain with cliffs and considered holy since the ancient times there is the big temple, dedicated to the Pharaohs of the New Reign and to their patron Amon. 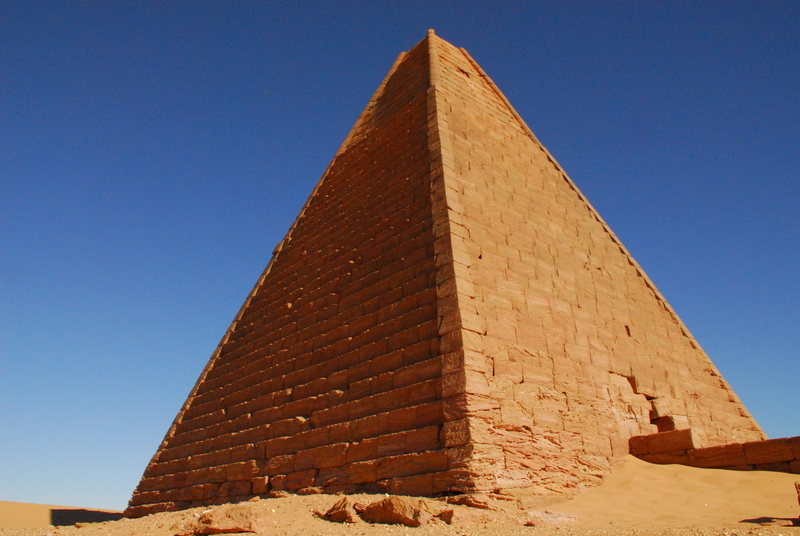 The Amon’s ancient “Pure Mountain”, the Olympus of the Nubians, had been the religious Nubian heart for more than 1700 years. Besides the ruins of the big temple there are still several sculptured granite rams that were supposed to border a long avenue that probably led to the pier on the Nile. In the mountain wall there is a big room decorated with bas-relief. 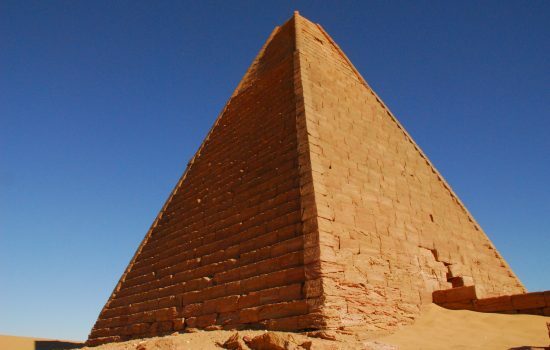 The royal necropolis of the ancient city of Napata, had a large number of pyramids in three different places. 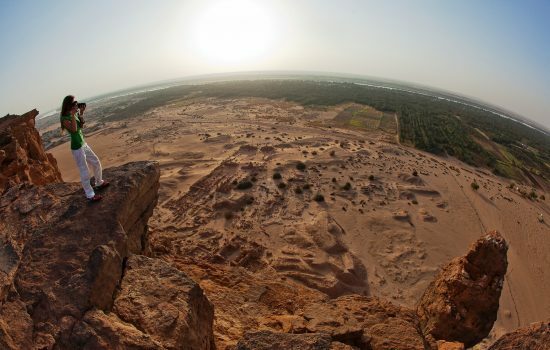 One was on the western side of the Jebel Barkal Mountain where we can see ruins of ancient pyramids of unknown royals. 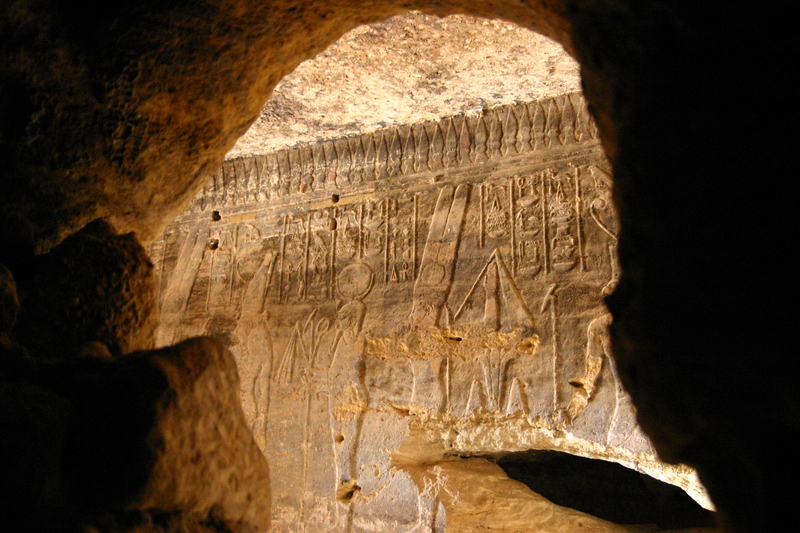 Another one is in El Kurru, a dozen of kilometres southwards from the mountain where it is possible to visit one of the two tombs which are excavated in the rock under the pyramids – partially collapsed – and are totally decorated with images of the Pharaoh, of the gods and multicolour hieroglyphic inscriptions. In the Necropolis of El Kurru many pharaohs are buried including Piankhy and his beloved horses. But the probably best known Black Pharaoh is Taharqa (690-664 bC) who took the borders of his empire to the edge of Libya and Palestine. 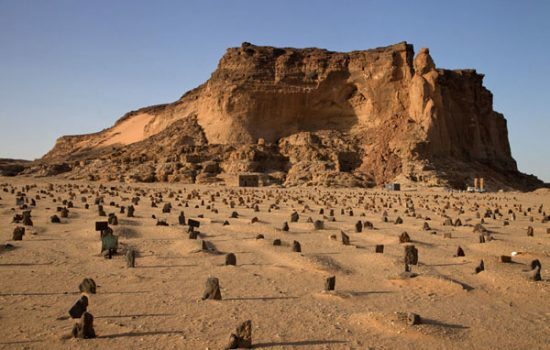 He was the founder of the newest Necropolis of Nuri located on the eastern side of the Nile River.